Moneygram vs Western Union: Which One Should You Use? Moneygram and Western Union are frequently used when you need to send money overseas instantly, and can’t wait for the bank to sort out a transfer. They are both well known services, used all over the globe by people needing to send money instantly, but which one is better? Here you can see the pros and cons of Moneygram vs Western Union, and decide by yourself. Western Union is a worldwide service, with over 400,000 locations around the globe where you can send or receive money. They have no limits in terms of what you can send at once. However, they charge a steep fee that can be upwards of 10% of what you are sending. This is because you pay for the convenience of making an instant payment. In terms of geographical availability, the decision on Western Union vs MoneyGram has a clear winner, as MoneyGram can only be used from the US. You can send money online using Western Union. Also, you are not restricted to sending exclusively from the United States. However, the money must be picked up in person, as Western Union can’t deposit it on a bank. They even have an iPhone application, to make payments easily on the move. 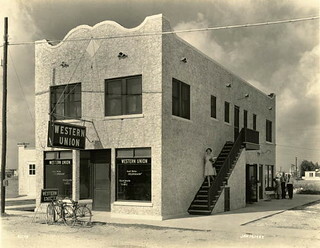 Western Union is popular among travellers and immigrants who need to receive or send money abroad from family or friends. There is no way to trace your payment, and this has brought in a nasty side-effect: Western Union is a favourite for scam artists as it allows them to get the money and disappear without a trace. It is extremely important never to send money through Western Union as a payment for goods or services to somebody you don’t know well. However, when deciding between Moneygram vs Western Union this shouldn’t affect your decision, as both services operate in the same way. MoneyGram works in a similar fashion to Western Union, but it’s more restrictive in terms of how much you can send and where. They are, however, convenient: you can send money from your bank account 24 hours a day, 7 days a week. The transfer is instantaneous and the recipient can go pick up the money from a MoneyGram outlet right away. MoneyGram also allows people to pay bills for leading retailers and banks, a service restricted to about 38.000 outlets in the US, or online 24/7. The fees are relatively low, starting at $1.49 and the payment is often instant. If you use this service online you will need to pay with a debit or credit card. The providers include auto bills, mortgage, rent, credit cards, utilities and many others, so this is quite a useful service that Western Union doesn’t provide. This is a clear advantage of using Moneygram vs Western Union, but only if you are based in the US. MoneyGram restricts the amount of money that can be sent at once, and unlike Western Union the transfers must originate from the United States. Once sent the money is not traceable, and due to this MoneyGram has similar issues with scam artists and fraudsters as Western Union. The convenience of instant payments abroad comes with a hefty fee, but frequent users, such as those travelling abroad wanting to send money back home, can enjoy discounts. Neither MoneyGram or Western Union offer anything in terms of customer protection, so don’t user them to send money to people you don’t know or to pay for services and goods you haven’t received them, or you risk falling victim of any of the popular Western Union scams. If a friend asks you unexpectedly to send them money abroad using Western Union or MoneyGram due to some misadventure make sure to contact them on the phone before you do, as their email address may have been hacked and used for a spam. Both MoneyGram and Western Union are suitable to send money to family and friends abroad instantly, but if you are not based in the US or want to send large amounts of money Western Union is your only option. The frequent user discount would make MoneyGram a better option from those transferring money overseas regularly from the US, as well as those who require extra services such as paying bills at the store or online. In terms of moneyGram vs Western Union fees, it depends on the country you want to send to by the frequency discount is a nice bonus. If you need to transfer a large amount of money overseas, however, you would be better off looking at online alternatives that process international bank transfers in different currencies, even if the process can take longer. This is because both MoneyGram and Western Union are expensive, and paying 10% of the transfer in fees (not to mention the conversion rate offered) is not competitive. Is Your Business Blog Too Product Centric?